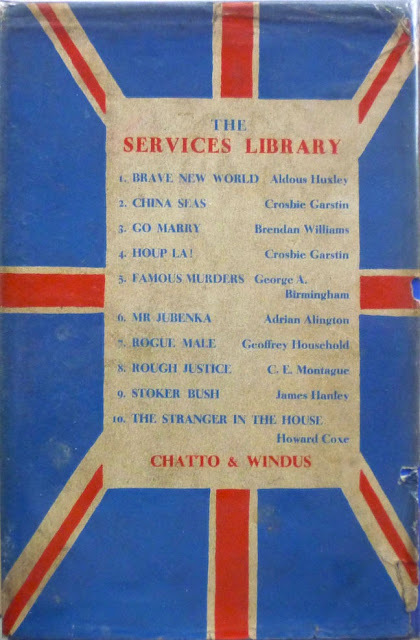 A 1939 Chatto & Windus UK hardback first edition. 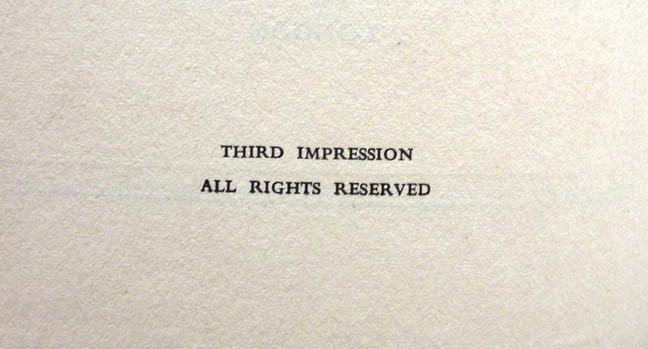 Now, this isn't the first printing of the novel; it is, in fact, the third impression, issued in the same year as the first and second impressions. 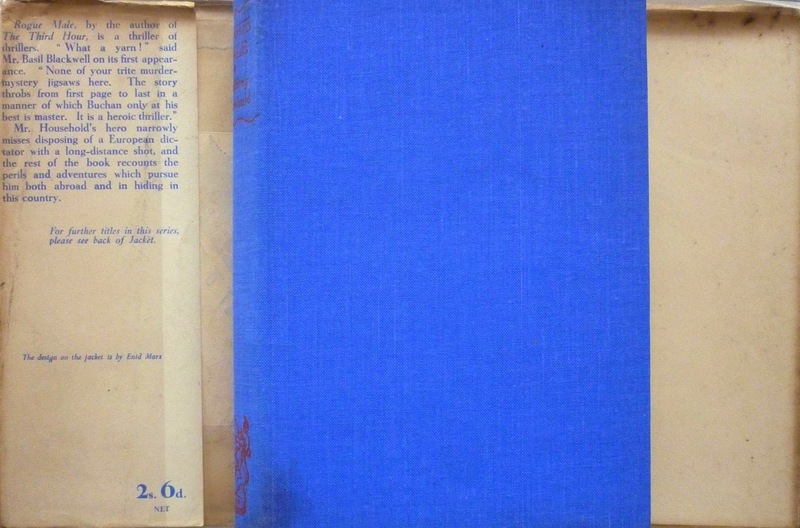 True (British) first editions are extremely uncommon, and even more so in a dustjacket: there are currently just two copies of the true first on AbeBooks, both sans jacket, one for £300, the other for £450. Even secondhand book dealers of long experience, such as Any Amount of Books on London's Charing Cross Road, have never handled a jacketed copy of the book. 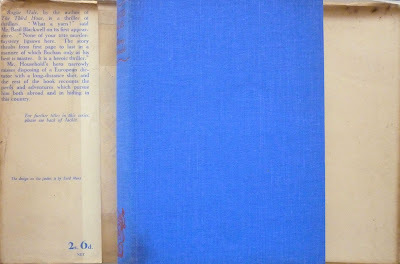 But as you can see, this third impression does have a jacket – designed by noted painter and pattern-maker Enid Marx; Independent obituary here – although its design differs from that of the true first. 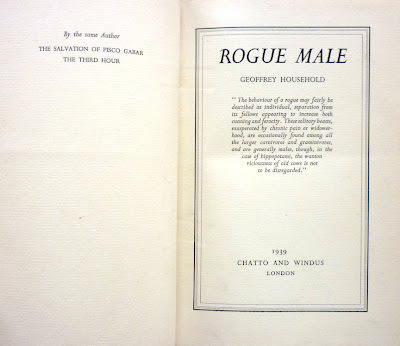 In the case of Rogue Male, I'm uncertain as to whether the novel went into the Services Library as of the second or third impression – I've never seen a picture of the second impression, let alone a copy for sale online – so I don't know if the third impression is the first appearance of the novel in the Services Library wrapper (the original wrapper shows the novel's nameless narrator lining up in his sights the equally nameless dictator – obviously intended to be Hitler – he's attempting to assassinate); if anyone owns a second impression – or indeed a first impression – and is perhaps willing to show their copy to the world, do please leave a comment below. 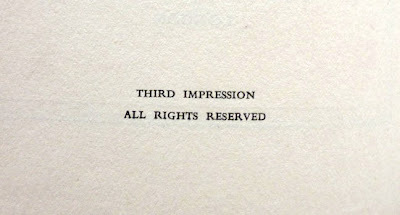 But what I do know – or at least think I know; I could be wrong – is that the copy of Rogue Male seen in this post was the earliest jacketed printing of the Chatto & Windus first for sale online (until I bought it, that is): there is one other jacketed UK first on AbeBooks at present, but that's a fourth impression from 1941 (priced at eighty-odd quid, plus shipping from the States). I agree Rouge Male is a great book. 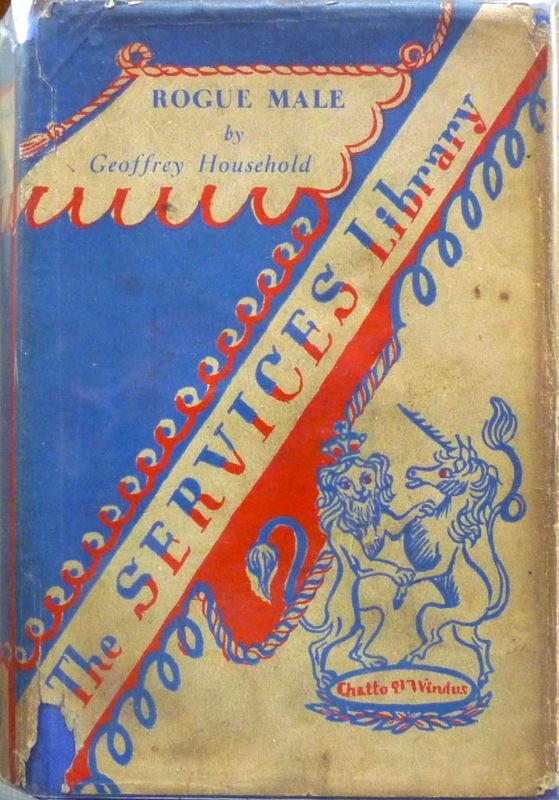 I first read it probably in late 1950s. What a pity he did not get that "dictator". But how resourceful he was - a great story. It does, Ron... but Household's sequel is ROGUE Justice. Still, it's pretty close. I'll have my review of Household's sequel up before too long, and there's lots more to come from Mr Household in this run of posts, so stay tuned! And thanks for commenting. Rogue Male has been reissued as a paperback by Orion Books. It is a good read certainly.